Beyond Good and Evil 2 : Everything you need to know! 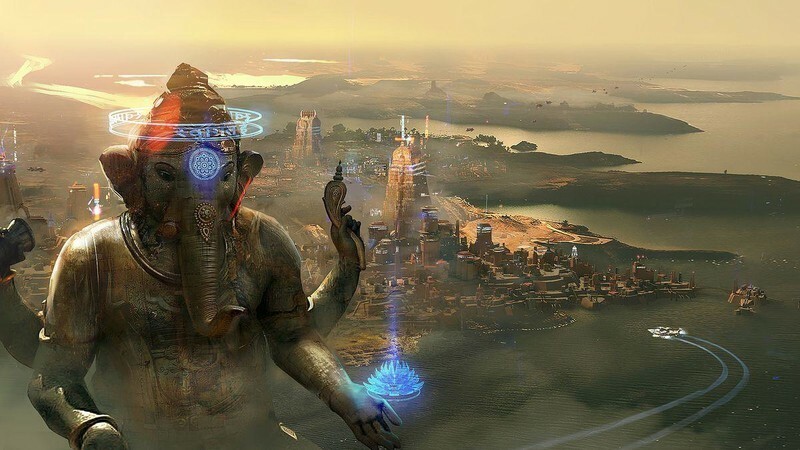 During E3 2017 we got to see jetpacks, flying ships, hijacking, lightspeed travels, and a whole lot of explosions when Ubisoft announced they would be making a sequel to Beyond Good and Evil. Now, during E3 2018 they released another trailer for us to oogle over. This is some pretty massive news considering we haven’t been able to play a new Beyond The Good and Evil since the release of the first game in November of 2003. What’s more exciting? It’s going to be a sequel to the original game, giving us a chance to continue the stories we stared before. “Whatever can be common always has little value,” and Beyond Good and Evil 2 is going to be anything but common. Read on below for all the information we have on this upcoming title! When I watched the gameplay video (shown below) I almost lost my mind when he zoomed out of the world and it just… kept going. It didn’t just stop at zooming out on the world around them, he straight up showed us the universe around that world. Even the timelapse of the game has the world actually rotating in space to change the entire dynamic of your visuals. These people look and feel real to the player, and that’s amazing. They each have their own style of clothes, culture, phrases, food, and accents based on the areas they were born and raised. It’s so refreshing to see so much diversity and that much more immersive to a space-futuristic based game. Right after the new E3 trailer was revealed Joseph Gordon-Levitt took the stage to explain to us that his production studio, HitRecord, was going to be teaming up with Beyond Good and Evil 2 to create an entire environment based on help from fans across the world. Environmental contributions include original content, art, music, and ideas for players to experience in the game. These live creative challenges give us all the power to shape the world we will be playing in. I don’t know about you, but I’m absolutely stoked to see this already diverse universe have even more of an opportunity to expand. If you’re interested, check out the link below! In space, you run the risk of being hit with meteorites and the other very real dangers of space. So the cities are built in a “safe space” the other areas of the planet are under constant dangers of meteorites. It doesn’t stop there, either. While you’re out there exploring these planets you’ll see slaves collecting the precious materials from these meteorites drops. It hasn’t been disclosed of how much involvement you get to have with those, but I personally hope I have the option to wipe out some massive slave owner and free the people. It’s never been an arch I appreciated in games. Character creation: This time around you won’t be playing as Jade. Instead, you’ll be able to customize your own character at the start of the game! Jetpacks: From what we can see of the gameplay trailer it looks like you won’t be able to use the fast speed of your jetpack for very long. There is no “stamina” or fuel bar shown for this mechanic, but the flames from your jetpack do slowly turn red as you run out of momentum. One thing that is shown is the speed and level of speed you are flying in. Taking pictures: An interesting mechanic they have brought to this game is the ability to take pictures. It hasn’t even been made clear if sharing these images to social media is something we could do yet, but they do serve for a purpose. After taking a picture of something in the game you can share it with other characters in the city to trigger discussions on what they are seeing. Flying spaceships: When flying a ship you can do loops, increase speeds, quick dash out of the way of things, fly upside-down (or sideways) and even come to drifting stops. You can take these ships and go directly into space with them. So those planet rotations I mentioned earlier? You can experience them in real time. Plus, when you are in space they’ve added a mechanic of losing friction in the atmosphere – allowing you to hit even higher speeds. Looks like we get a couple of familiar faces here. Peyj is back as the Chief Chef of the Gada and Jade is back… looking like she just got back from Hell. What happened to our photojournalist who was so full of life and fight? Other than that we see some other faces like Umma, the Chief Medic of the Gada who is apparently also pretty skilled in high-tech acupuncture. Then there’s Shani and Knox, a badass pilot who (judging from the trailer) is a skilled fighter for the Gada and a smart-mouthed monkey full of mischief and bad ideas. Currently there is no information on a release date or where you can pre-order this game. Stay tuned as we’ll update this article as soon as we get any of that information for you! Tell me all your thoughts and opinions on the upcoming Beyond The Good and Evil 2 game below!